The Bates Cargo-Pak dunnage bags, available from Australian Warehouse Solutions , prevent unwanted movement and costly damage by filling cargo voids. They are fast to inflate, economical and environmentally friendly. The Bates Cargo-Pak dunnage bags are equipped with a patented valve for quick inflation. The valve can be turned 360° to inflate the airbag from all angles, and will close automatically after inflation. 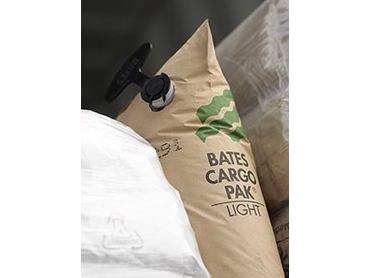 Bates Cargo Pak are the inventors of dunnage bags and their bags are specially constructed for maximum strength, by way of outer layers of heavy-duty wet strength paper and strong inner layers of multi-layer film. Bates Cargo Pak are deliberately manufacture with a high friction outer layer to guarantee the bags do not shift during transportation. Australian Warehouse Solutions (AWS) provide free on-site advice and support on how to optimise positioning of the airbags to secure the cargo and minimise damage to goods during transportation.